happening over at the offices of Fugue magazine. 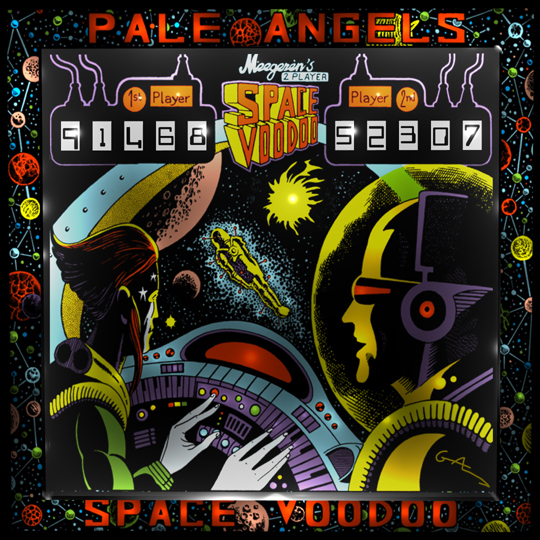 Jamie Carter’s efforts have resulted in the unearthing of the album cover artwork for the only album ever recorded by the Pale Angels, Jason Zodiac’s Glam Rock project, formed after the Banana Sundial broke up in late 1969. The LP, titled ‘Space Voodoo’, was released in September 1971, and features the drop-dead gorgeous artwork of the mysterious artist known only as ‘Grasshopper’. The track listing will be up soon in the Discography. Feast your eyes on this incredibly rare collector’s item! This entry was posted in Music, Psychedelia. Bookmark the permalink.